13 Hours of Video Instruction with hands-on labs and practice exam content. 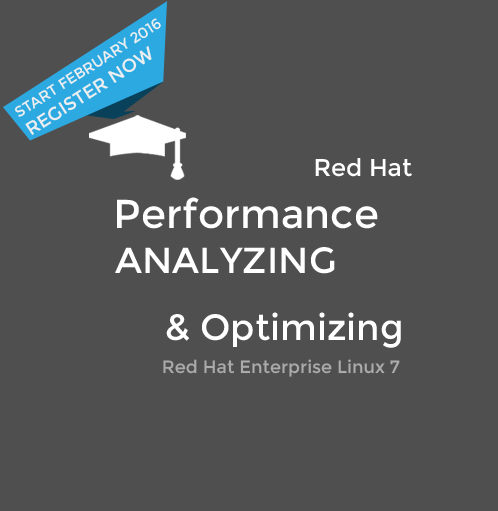 Get prepared for the RHCE® exam with this course. 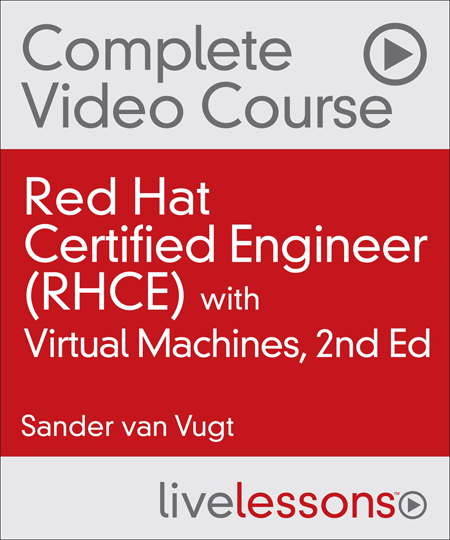 Now with virtual machines and fully updated for RHEL 7.3, Red Hat Certified Engineer (RHCE) Complete Video Course with Virtual Machines, Second Edition gives you everything you need to prepare for and pass the RHCE exam. Whiteboard instruction to help you grasp difficult concepts. CLI instruction so you can see Red Hat in actionLabs so you can practice your skills, plus solution videos so you can then compare your work to the author’s. Three virtual machines to give you easy access to a reliable environment for working through this book’s labs and exercises. Module quizzes to help you test yourself on concepts and commands. Interactive CLI sims so you can put your knowledge to the test. Two full practice exams that include video solutions. Key concepts for all the objectives on the RHCE® exam. You are a administrator currently administering UNIX systems or a developer who writes software for Linux. You have already have obtained the RHCSA certificate or equivalent knowledge. You have mastered all topics in the RHCSA® objectives list such as SELinux, Managing systemd services, Firewalld and Networking. The RHCE Complete Video Course contains 13 hours of comprehensive video training–which includes whiteboard concept teaching, live CLI work, screen-cast teaching, hands-on labs, and practice exam walk-throughs–so you have everything you need to study for and pass the RHCE exam. How to perform some advanced system management tasks. How to set up advanced networking features as well as the Apache web server. How to set up an unbound cache-only DNS name server and NFS and Samba file sharing. Get an idea about this course with this Free Video Course Experience. This training is excellent for RHCE exam preparation. I have also seen the first series of video’s of RHCSA and RHCE but these second versions are even better. Very good explained. Thanks Sander ! I wish I had this training before I took my first RHCE exam. Having taken the exam (I passed and want to recertify) I can tell you he’s spot-on when it comes to what you need to know. This course is delivered by Pearson IT Certification. By clicking the link below you will be redirected to the course page for the complete course outline.